Released 20 years before 'Godzilla,' the original 'Great Buddha Arrival' is lost but now will no longer be forgotten. If you’re a fan of anime, giant robots, or tentacled monsters you most likely are familiar with the term “kaiju.” In Japanese, the word means giant monster, but more specifically kaiju are best known for the creatures of Japanese cinema birthed in the post-World War II Atomic Age. These monstrous beasts, with Godzilla the reigning king, are Japan’s reflections on the devastation in Hiroshima and Nagasaki. The anxieties and fears of a nation emerged from the depths of the sea in the form of the iconic gigantic lizard. But the 1954 classic version of Godzilla, aka Gojira, was just the beginning of our fascination with these monsters, a fondness we can indulge in with the rogues’ gallery of competitors such as Mothra, Rodan, King Ghidorah, and the original massive movie monster, King Kong. But there is a teeny tiny sliver of cinematic history that has been forgotten. 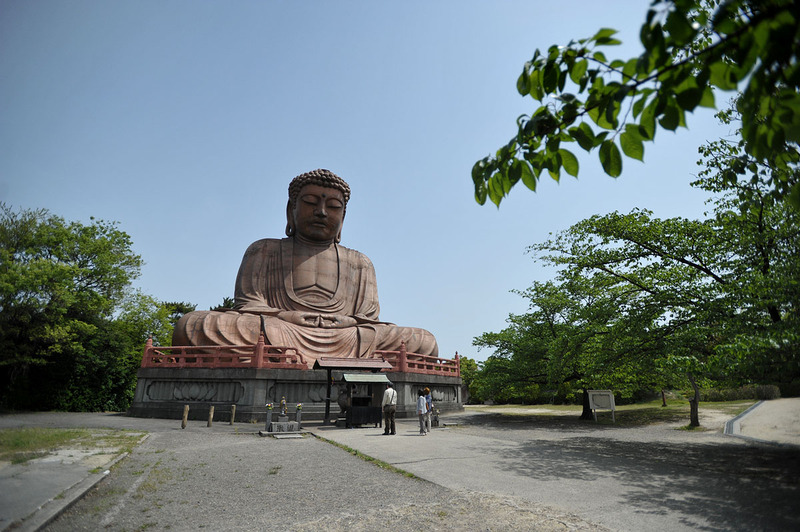 A missing link between King Kong and Godzilla, and it comes in the shape of a gigantic statue of Buddha. Our first look at The Great Buddha Arrival just debuted online. The new movie is a remake of a long-lost early kaiju film from 1934 titled Daibutsu Kaikoku, and the puzzling trailer features all the hallmarks. Beautiful landscapes contrasted devilishly with a massive moving entity as horrified onlookers stand aghast. 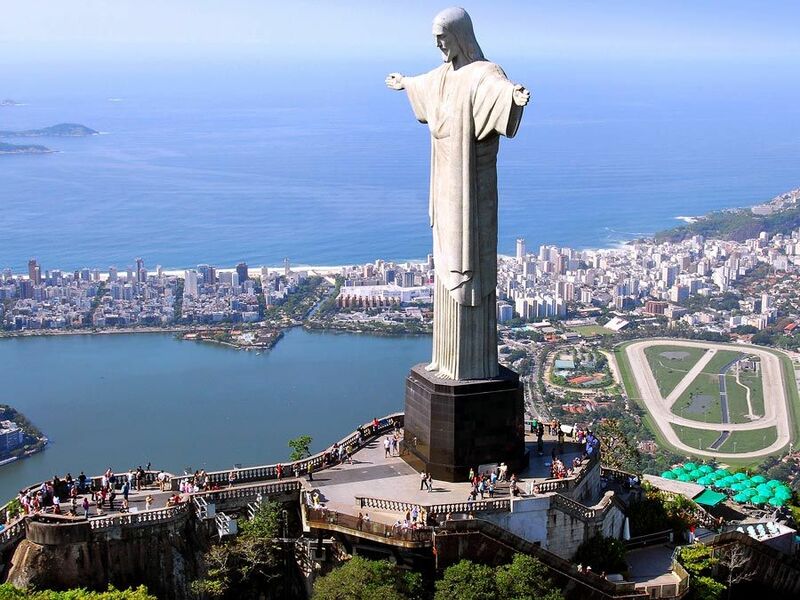 But rather than your typical kaiju, with scaly skin and sharp teeth, we have a stoic statue of a Buddha, whose head reaches the sky like Christ the Redeemer in Brazil. While I don’t think we’ll find pink slime and Jackie Wilson on the list of reasons for the towering symbol to become mobile, we are given just a few key clues in the trailer that may hint at more metafiction than we’d expect from your average kaiju movie. Because the story behind the film may be even more intriguing. Back in 1934, on the heels of our first giant monster movie, King Kong, Japan found itself enamored. So much so that Torajiro Saito even made a short silent rom-com, Wasei Kingu Kongu, about a man who dresses up as Kong to woo his crush. 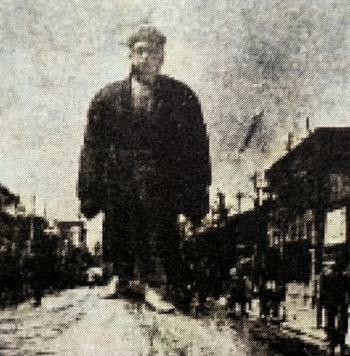 But another filmmaker, Yoshiro Edamasa, mentor to famed Japanese visual effects artist Eiji Tsuburaya (Godzilla, Ultraman), wanted to push the concept even further so he wrote, produced, directed, and created the visual effects for Daibutsu Kaikoku, which is roughly translated as The Great Buddha Statue Travels. That film, about a 33-meter high statue of Buddha who uproots himself from Aichi and goes on a quest for enlightenment, isn’t exactly a horror film despite its overgrown protagonist. While it may harken to tales of The Golem and even later monster movies, it’s much more of a family fantasy film as the Buddha makes stops at iconic temples, shrines, castles, and even some civic centers! Outside of the conceit, the closest the film skirts to scares would be the Buddha’s visit to Heaven and Hell before flying away. And remember: this is still 20 years and an entire world war before Godzilla premiered. But this plot is only a second-hand account at best because the original film has been lost forever due in part to its release being right before World War II. Which is ironic considering how post-war Japan would be the inspiration for the Kaiju Boom of the 1960s. The only remaining artifacts of the film are a few promotional images. And it’s in these promotional stills that the remake verges on metafiction territory. About 15 seconds into the trailer, we see a character shuffling through grainy black and white photographs of the giant Buddha. Those photos look a lot like the surviving promo images of the original 1934 film. While I don’t foresee this movie being about the lost film, it wouldn’t surprise me if they pulled thematically from its disappearance after the war. And it would make sense, too, to layer in real life since the remake is being produced by the grandson of the original’s director, Yoshiro Edamasa. The remake is helmed by Hiroto Yokokawa and co-written by Yokokawa, Yuki Yonezawa, and Kazuma Yoneyam. They’ve assembled a cast of kaiju heavyweights like Akira Takarada (who appeared in the original Godzilla), Yukijirō Hotaru (Gamera: Guardian of the Universe, Zeiram), and Yoshihiko Otsuki (Godzilla: Final Wars). All of this is to say that with a familial connection to the original lost film, supported by a cast that knows exactly what type of film they are making, The Great Buddha Arrival will be a love letter to the kaiju films that came before it, and, coincidentally, the kaiju films that its originator inspired. This movie is bound to turn heads when it’s released close to Christmas, but after the highs and lows the world has experienced this year, we could really use a chill giant dharmic statue spreading good karma to carry us into the New Year!